I met this lovely lady just days before I photographed the birth of their first child two years ago. Capturing such an intimate and life-changing event creates an immediate bond between the photographer and family. I love the families I have met through this work and was super excited to meet their new addition. 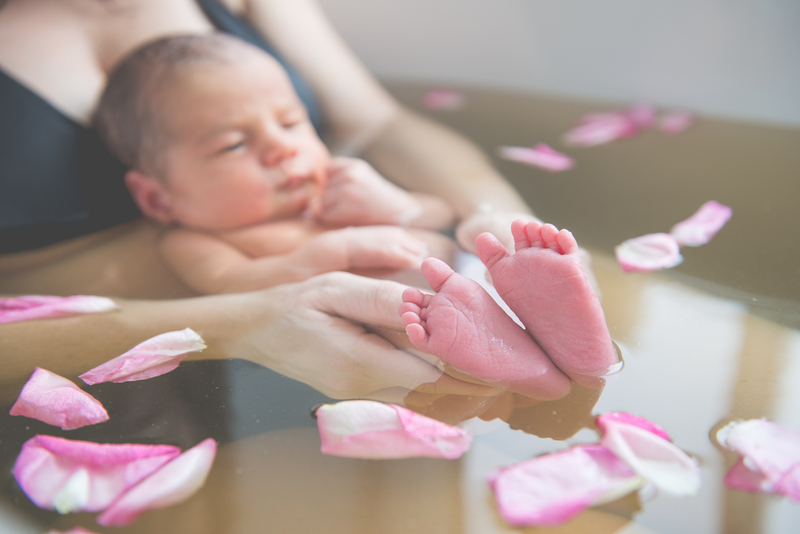 Herbal baths are a wonderful opportunity for mom and baby bonding, healing and relaxation. This beautiful, sweet-smelling blend was created by Homestead Herbals, grown organically on an eco micro-herbal farm in Kitchener, Ontario. 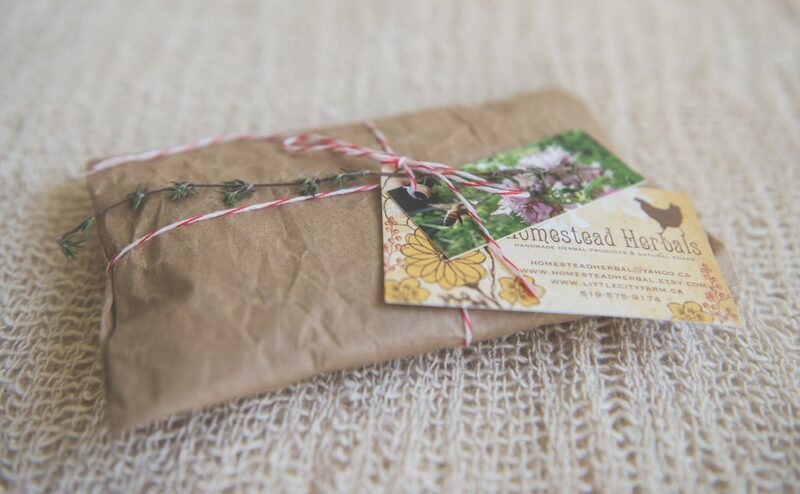 Included in their packaging is a little tag that informs their customers on which bee-friendly plants to grow. Read more about why we need to protect our pollinators and how to create a bee-friendly garden here. Fifteen day new Devyn settled right in and was perfectly content floating in her mama’s arms.